If you’re unfortunate enough to get morning sickness – and eight out of 10 pregnant women do – it can make the early stages of pregnancy unpleasant. But why does it occur and what can you do to ease the nausea and sickness? During the first 12 weeks of pregnancy one of the most common symptoms is morning sickness. Despite the name it doesn’t occur exclusively in the mornings and can come on at any time of the day and the symptoms usually start from about six weeks after your last period. For some it’s just a feeling of nausea, whilst for others it’s full blown vomiting. Feeling nauseous or being sick won’t cause any harm to your baby. It’s not known exactly why, but women who experience sickness seem to be more likely not to suffer a miscarriage than those that don’t. There are various theories as to why women get morning sickness. One theory revolves around the hormone human chorionic gonadotrophin (HCG) which controls the production of other pregnancy hormones. Levels of HCG rise during early pregnancy, reach their peak about 10 weeks, then gradually deplete again around about 12 weeks. These hormone levels match the time when women are most likely to get morning sickness. The smell of certain things, such as perfume, smoke, petrol, food or coffee. Eating certain foods, such as spicy meals, fatty foods or meat. Changing position too quickly, such as suddenly standing up quickly. Being tired, anxious or worried. If you tend to feel sick first thing in the morning, take your time to slowly get up. It may help to eat a small amount of food – whatever you can stomach – as soon as you get up, or even before you get out of bed. Rather than having several big meals, try eating small amounts of food regularly throughout the day, for example, every two to three hours. Make sure you drink plenty of fluid, such as water, herbal tea or fruit juice, to ensure you don’t get dehydrated. Ginger is a great remedy for nausea and is widely used in Chinese hospitals. 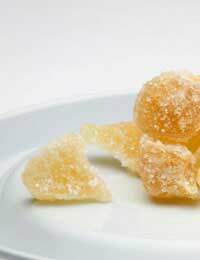 Try sucking a small piece of crystallised ginger, sipping ginger tea or nibbling a ginger biscuit. Move around slowly and try to avoid making any sudden movements, like getting up quickly. Try wearing seasickness bands on your wrists. They’re based on the theory of acupressure and can help relieve feelings of sickness. Eat slowly and sit still for a while after you’ve eaten. If you’re aware that certain smells can provoke your nausea, do your best to avoid them. At night, sleep with the windows slightly open, so you’ve got some fresh air. It may help to eat a small snack before you go to bed. Dry crackers are often a good option. In the majority of cases, morning sickness stops after about 12 weeks. But one in 10 cases, women can continue to feel sick for longer into their pregnancy. If you’re regularly very sick, are losing weight, can’t keep any liquids down and are worried about your health, or that of your baby, always go and see a medical professional.